Cute and stylish, combined with modern, innovative design features, these are better than ordinary footless tights. Parents will love this soft knit that is comfortable for baby and protects your little darlings knees from bruises and scrapes when they are crawling about. Unique silicone gripper designed as knee pads, support and enhance your baby's crawling instincts, and help your baby push along without slipping. They can also be worn by toddlers who climb, jump, or tumble giving them that extra non-slip grip while playing. 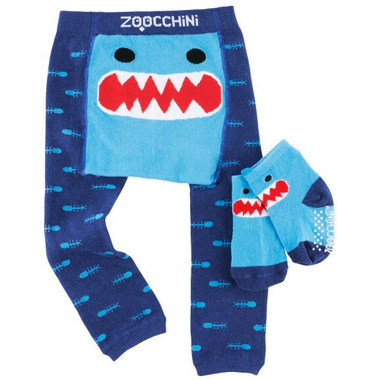 Extra soft to the touch, stretchy and breathable material, ZOOCCHINI's baby leggings protects your babies sensitive skin. S | 6-12 Months | 26-30" | 15-22 lbs. M | 12-18 Months | 29-33" | 22-30 lbs. They are super cute but buy a larger size than you think youâ€™ll need, seem to fit super small.